What do you need to earn money with AdCombo? Good plan to take the world by storm plus how to monetized the internet traffic (it can be the same thing). Some experience in internet traffic monetization. Desire to make money in CPA marketing. If you got all of these, look what we offer to you to increase your income. 1.Exclusive offers, also in premium segment. 2.A lot of “wow-products” offers* and high conversion rates. 3.High paid “Cash on delivery” model’s offers *. You don’t need to wait long till customer will pay for the order, just confirm this order by phone. 4.Acceptation any types of internet traffic. 5.Easy weekly cashout - PayPal, Payoneer, Paxum, WebMoney, Bank Wire Transfer systems. -	Several variants of landings pages on different languages for each offer. -	Offers for 255 countries all over the world (Eastern Europe, South Asia, Latin America). -	Good usability of personal account interface and personal client’s manager. Don’t waste your time, you can learn more and make your signup in AdCombo right now. *Cash on delivery - model of leads where conversion takes place when customers complete the order by phone. * wow-products – a products of impulse buying. Every affiliate is welcome in our network. We accept either experienced affiliates and newbies. Don't be afraid to get enrolled. 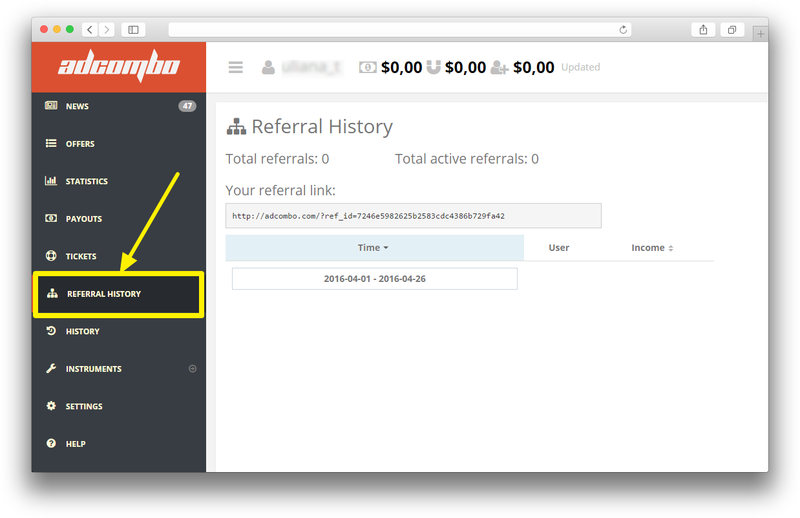 By the way, we start our REFERRAL CONTEST in Monday. Don't miss the chance to take part. have a look! Just signed up buddy, I hope you could suggest some good native ads network to use. (2016-06-24, 08:07 PM)WarAffiliate Wrote: Just signed up buddy, I hope you could suggest some good native ads network to use. Me myself had good results with domain and redirect traffic from ZeroPark at our offers. There are thousand of leads from 2-tier countries as the traffic is very cheap. Try this out at Europe, you'll be satisfied with the results. Do you have mobile offers which i can promote on instagram? Take part in our referral contest “TRAFFIC HUNTERS” and get up to $5k! Great news for you, friends – new contest ‘Traffic Hunters‘ is on! 1. Sign in to your account on AdCombo or create a new one for a publisher. Make them work in our CPA network! They must bring approved leads! The more active referrals you bring, the more likely you will win. And of course, no matter what, you’ll get your lifetime 5% from the profit. Feel free to ask us anything in comments or in social media. We’re here to help.